NEW YORK (FOX 5 NY) - The cash-strapped MTA says the New York City subway system lost an estimated $215 million this year due to people jumping turnstiles. At a special meeting on Monday the transit agency outlined the problem and even released a video showing person-after-person jumping the turnstiles or crawling underneath them instead of paying the $2.75 fare. The MTA claims more 200,000 people ride subway trains every day without paying. That is nearly 4 percent of all customers. The problem is even worse on buses. An estimated 16 percent of all riders are not paying, or about 348,000 people a day. That means more than half-a-million people are riding public transportation a day without paying. The transit agency claims it plans a crack down on fare evasion but is hampered by a lack of prosecutions. The NYPD has cut back on the number of arrests and summonses issued for fare evasion after complaints of minorities being targeted by enforcement. Manhattan District Attorney Cy Vance's office has also stopped criminal prosecution for fare evasion. The MTA says the lost fares mean less service and less comfort for paying riders. Among the things the agency is proposing is cutting the amount of heat and air conditioning it pumps into trains and cutting the number of employees who clean the inside of subway cars. The MTA is also considering fare hikes to raise more money. It faces a $1 billion budget gap in the coming years. Ironically, the start of the MTA board meeting had to be delayed because one of the board members was stuck on the subway. Geez, Louise @ 86/4th just a crowd rushing the gate. Man this a societal issue at large that people think this is okay. How do you fix that? Kinda crazy to see. You fix it by stopping people from doing it. I watched that entire video and you see in some instances several people watching other people jumping over and doing the same thing because they see one person doing it and not being caught, so they think oh ok, it's fine for me to do it too. Not only that but some people just nonchalantly walk right through the gates. It's incredible. You have a point but what would that entail? Hiring more Security or police? At a reoccurring cost? Technology at a onetime cost and maintenance? If I were at the MTA these are questions id be asking myself. I think a lot of that could be shifted with perception someone said this before but it might be the only way. Have to do some high-profile stings busts and broadcast. Keep people on their toes and not wanting to take the risk. I was looking at some stats on resource and cost on the NYPD side associated with locking someone up for beating as well not so sustainable either except for extreme cases. To your point, I do think it is a matter of monkey see monkey do. Surprize busts and broadcast should be worth a go! Nothing to lose at this point. More HEETs, stop shortening the gates at rehabbed stations, start making cops enforce fines. I'm not 100% sure what can be done on buses. Maybe something similar to the costumer scanner where this new card gets read mixed with fine enforcement. The main issue here is that fines are not enforced. People want to complain about fines being sent out too often and act like the system will pay for itself. Also can you ride Uber and Lyft for free? Any Uber or other app based ride is hooked up to a credit card and you pay in advance for the ride. Once the ride is done, you can opt on the app to tip or not and rate the driver. This should probably be the next step. Have hates similar to these. And the exits are push a button and open the gate. And now NYPD doesn't have sufficient staff to patrol trains regularly. But notice cops are there to get you for not paying tolls (even though the gates are removed) - instead of NYS Troopers. This seems like a good idea!! are there any downsides? Mechanical maybe? Can it handle NYC volume levels I know at my home station people are swiping back to back.. Always figured the turnstiles were based on volume needs. How does that work when you're billed to home for cash payments? Interesting. The MTA really does seem to have way too many moving parts organization wise. Quite a bit covered over the 2 hours. NYCT seems to be between a rock and a hard place with cut's Andy seemed to address that pretty reasonably from my perspective the board didn't seem to want any cuts but you're asking the man to close a deficit with particular parameters attached totally unrealistic. Kinda like binding a person's hands and feet and tell them to swim. Not sure what any leader could do besides brace for impact. And to the point on fare Invasion. There are some good ideas stated to combat it a bit. Having camera's with a display so the person can see themselves seems like a decent deterrent. Reshuffling station personnel as well and of course more NYPD visible. We had this convo before about Margin of error the avg percentage for fare loss is 1.6% -2.0% Even hitting that goal and getting to that number would make the difference and be a marker for whether this is working or not. The other thing I remember having discussions about before on the forums that David Jones spoke on was the perception of who's beating the fare. I remember talking about Staten Island and people just walking on a week or two ago. People kinda brushed it off. Even from the video above lots of folks we see on the video are people traditionally we wouldn't even look at to be someone beating the system. They clearly don't fit the Jordan buying,iPhone using Nonpriority having younger person of color. This is very important to note especially if we want to try to curves this and understand the why?. Id say a good amount beaters would be deterred with some uncertainty in the enforcement or knowing they're being recorded live. I guess we have to wait and see if what's being Implemented works. Plus the topic is getting a lot more attention in the press. The big fix for the subway would be a turnstile re-design. There should be mechanical flaps that retract once the metrocard is swiped. The bar is still there to keep others from pushing in behind you. 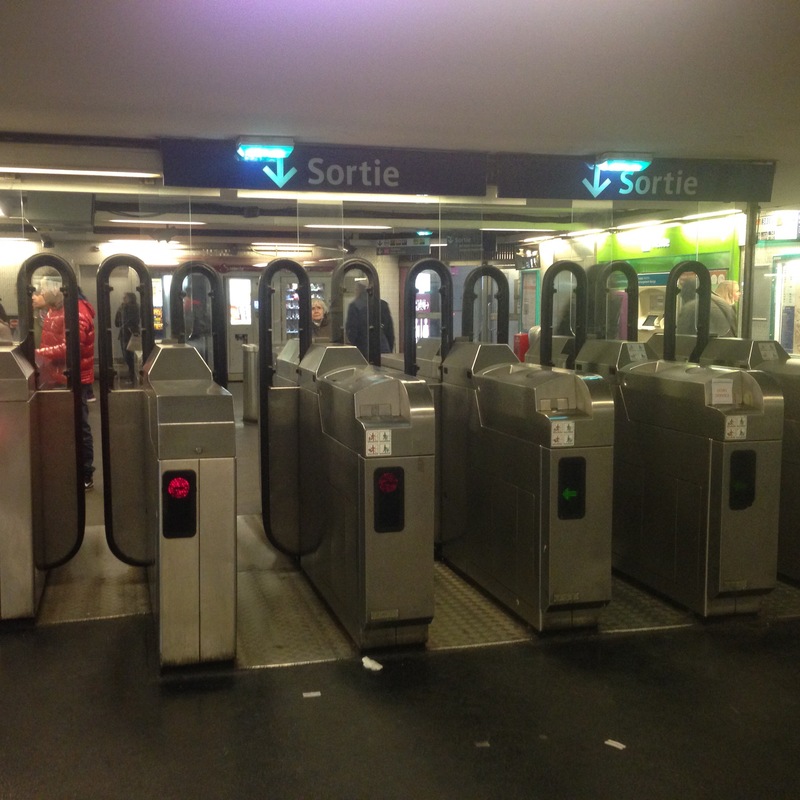 This two-level system would allow for pretty good protection against fare beating. Exiting would be through iron maidens. The emergency exits need either be removed or wired to a fire alarm to allow them to open only in an emergency. I don't think getting the NYPD involved would work as well. It's not the 1990s anymore, a few videos of young Black and Latino teenagers getting into it with some cops and all the SJWs and politicians will be back to demanding a rollback in enforcement. I support law and order but policing needs to be smarter about what to drop the hammer on otherwise you get blowback such as less community cooperation for serious crimes, NYCLU screaming for less policing, Protests, etc. Therein lies the problem - why does TBTA have cops that aren't needed to collect revenue when NYCTA needs cops to ensure revenue collection? It's﻿﻿ not the 1990s anymore, a few videos of young Black and Latino teenagers getting into it with some cops and all the SJWs and politicians will be back to demanding a ro﻿llback in en﻿forcem﻿ent﻿﻿. As I tell folks when I'm out SJWing, how about abandoning the racism and stereotyping and enforcing the law equally? If any NYPD personnel are caught letting white farebeaters go versus arresting black and latino ones trust me it should be dealt with. My answer to the race issue is to make sure that farebeating stings are equally distributed across neighborhoods so as not to be focusing on a single demographic. You'd have to control for confirmation bias, and given how ingrained racial, ethnic and gender stereotypes are in society, good luck with that. Clearly from the videos, farebeating is done by people of all demographic backgrounds. Some of these stations were in very well to do areas... Upper East Side, Brooklyn Heights, etc., by people I would’ve never expected to do it, and a lot of these people can afford the fare, but they are doing it because they can and there aren’t any consequences, so why not? This is the Paris Metro, which is smaller (133 vs 236 miles) but has similar ridership (1.5B vs 1.7B), and is probably even more crowded considering that Paris uses smaller trains and has no four-track sections. My reaction lines up with Konst, Esha, Lizanne Hinkle, and Rev. Schmitz. 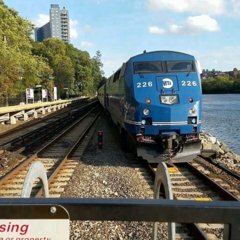 The MTA has some serious balls scapegoating the poor for rising its fare to $3 (which will only worsen the fare-beating). How about the MTA and Cuomo put some real introspection and blame their corrupt asses for not investing in their service and letting the transportation quality crumble. Oh, wait, if that happened, then that means Albany's committed to cleaning up their act. In cognitive psychology, Things are broken into two camp's Nature and Nurture. What's a natural or learned behavior? While you're correct that you'll never be able to squash bias completely a lot of this is learned societal behavior and can be changed to some degree. A few thousand years when everything around you was out to kill you literally trust no one was thinking about stereotypes. Given safe environments and more time to ponder people had time to create, learn and enforce perspectives. More videos like the one shown could even help. Holding up the mirror to show anyone is capable of anything for the positive or negative. He who controls the narrative controls reality literally. That's the point of attack. Screw congestion pricing. Like cigarette tax, the minute people stop doing it you create another funding shortage. It's kicking the can hoping someone else picks it up later. You put a 5¢ per dollar tax on cooked food and all beverages - which hits everyone that comes to or lives in the City - with the average lunch costing $8, you now have potentially $417 million per year of dedicated funding coming from Manhattan's 4 Million-person daytime person alone. Collect that $200 million+ of fare evasion revenue, and the question then becomes "What funding shortfall? ", or "Can we build the full SAS, or Triboro Rx?" And that's not factoring in the daytime population of Bk, Bx or Q. But the beauty of it is it's transparent, it's an absorbed cost since folks will always eat, buy coffee or go out to bars, and it doesn't result in diminishing returns (because all it takes to end-run congestion charges is for Nassau, Suffolk and Westchester to agree to build a bridge or tunnel from Rye or Mamaroneck to Oyster Bay or Glen Cove - OUTSIDE TBTA's jurisdiction - and even with a $8 toll, the congestion charge becomes another oppressive tax on City residents).